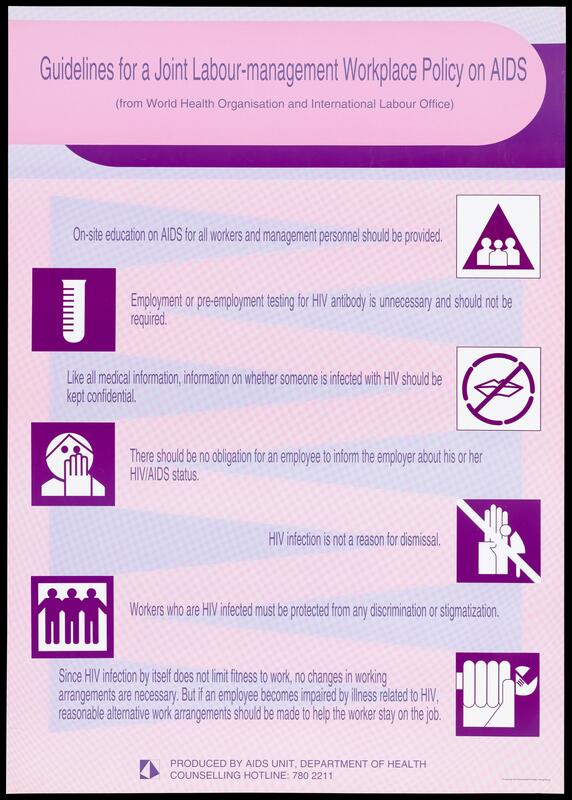 Guidelines for a joint Labour-management Workplace Policy on AIDS with logo illustrations by the AIDS Unit Department of Health, Government of Hong Kong (large version). Colour lithograph, ca. 1995. Guidelines for a joint Labour-management Workplace Policy on AIDS (from World Health Organisation and International Labour Office.